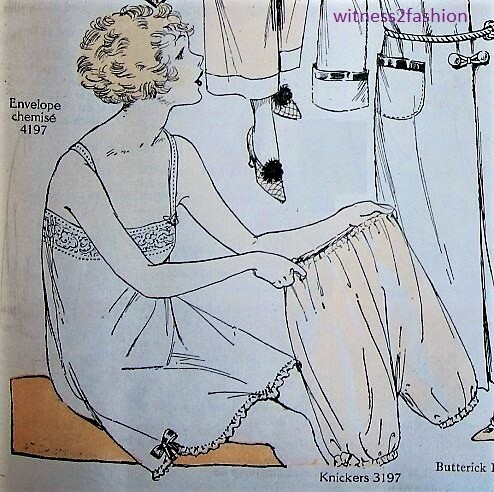 Somehow I had never thought about it, but you’re completely right, it really is puzzling that during the great depression when people were plunged into poverty, skirts became so much longer and more fabric was needed to make the styles of the day (so more money had to be spent), plus the radical change requiring women to replace their entire wardrobes. It seems like utter madness! This is fascinating to think about and I really loved this post! Glad you liked it. Thanks! I do notice that movies from 1929-1930 show the “dress extras” wearing a lot of short, 1920’s styles — but movies are not always released the same year they are filmed,,,, Which is why film designers don’t always follow the latest, highly identifiable trends. You’re welcome! Your blog is so incredibly interesting and informative, I always enjoy reading your posts! Ooh! I’m going to start keeping an eye on the extras in every movie I watch from 1929-1930! I never noticed that before! I love this month by month progress from one style to another. Wouldn’t it be wonderful if we could trace one woman’s wardrobe in the same period? Probably there are records of some woman’s annual clothing purchases with photos — but she would probably be a very rich woman, purchasing couture! I’ve seen some amazing records at the Texas Fashion Collection at UT Texas in Denton. Regular buyers of couture would get designs and alternative fabric swatches sent to them! Another editorial quote from Vogue – 10/12/29 “The Paris mode changes at last”. And really this is a little weird as in August a cover by Andre Marty featured a woman painting a mural while wearing a high waisted skirt reaching 2/3 of the way between knee and ankle! An interesting Hollywood film to check out regarding the 1929/30 changes in fashion is Chaplin’s City Lights. Thanks to Chaplin’s perfectionism, shooting took forever, resulting in scenes chock full of female extras either uniformly short skirts or long depending on when scenes were shot. The picture wasn’t released until spring 1931. As to people’s finances back then, the depression took longer to strike the average American than people tend to think; unless you were a stockholder, and few were, 1929 was a year of prosperity and the “slump” didn’t arrive until mid-1930 when the fashion change was already history. Thanks for the movie tip — now I have a reason to re-watch it (I’m more a Harold Lloyd fan …. )You also confirmed my (not yet written) thoughts about the delay in the October stock market crash affecting the whole economy — it took a while for business failures to cause massive unemployment. Thanks for your comments! Perhaps the change in styles was partly an attempt to get people (women in particular) buying as trade started to slow down? And from some of the sources you’ve quoted, it seems that women were starting to get sick of dropped waists and short skirts anyway. Love this post! It’s as if clothes became ‘conservative’ only in mindset and appearance for the Depression, having noting to do with the ‘non-conservative’ cost of requiring more money for clothes and material to go along with the new mode of dressing. I know that post-WWII, in circa 1947, there were a handful of patterns out to help women adapt their shorter war-time clothes to the new longer late-40’s lengths…I wonder if there was anything like that in 1930…but then I guess there was too dramatic of a silhouette difference from the 20’s clothes to tailor into a changed look, perhaps. That Patou 1929 dress is perfection! A perfect blend of the softened Deco style that was popular in the 30’s! It is amazing how quickly there was a style turnover, making it would be so terribly obvious if you wore last years’ frocks! I feel sorry for women during those two years of the decade turnover. It does seem that the “youthful” look was replaced by a “grown woman” look, which got more matronly as the decade went on. Hair styles, for instance, became very close to the head and controlled — the opposite of a carefree bob.